Up until now, Europe and the North Sea in particular have been drivers of international wind energy expansion. 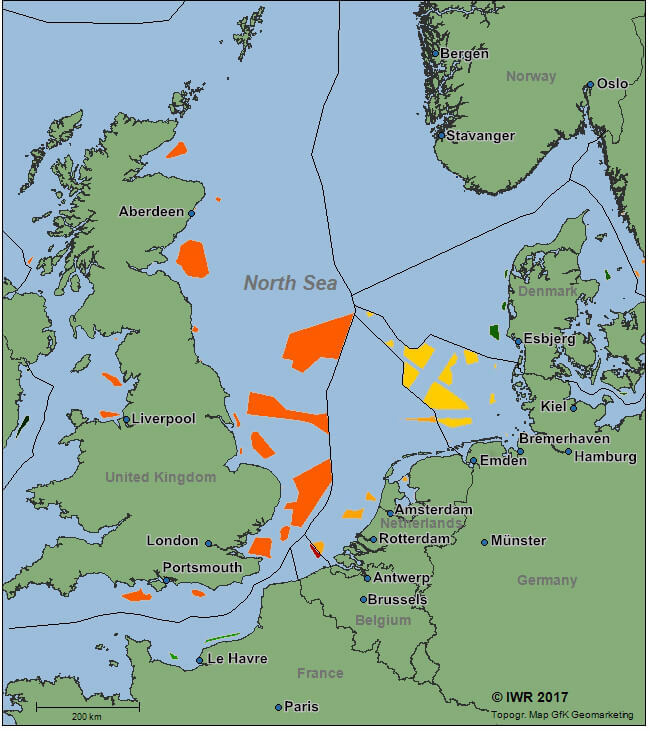 Following the erection of the first nearshore wind farms in Denmark in the 1990s, Denmark and Great Britain entered into the commercial offshore wind energy market in 2001/2002 and 2003/2004, respectively. By the end of 2016, European offshore wind farms had capacity of around 12,600 MW on the grid. Great Britain is considerably further ahead (with approx. 5,200 MW) than Germany (approx. 4,100 MW), Denmark (approx. 1,270 MW) and the Netherlands (approx. 1,120 MW). Furthermore, an additional eleven projects with a total level of investment of 18.2 billion euro reached final investment decision in 2016.